In my world, September is a BIG month. Summer effectively ends on Labour Day, the kids are at school, and it’s time for a hard reset (what I privately think of as a second New Year) to prepare myself for the whirlwind of the last three months of the year. 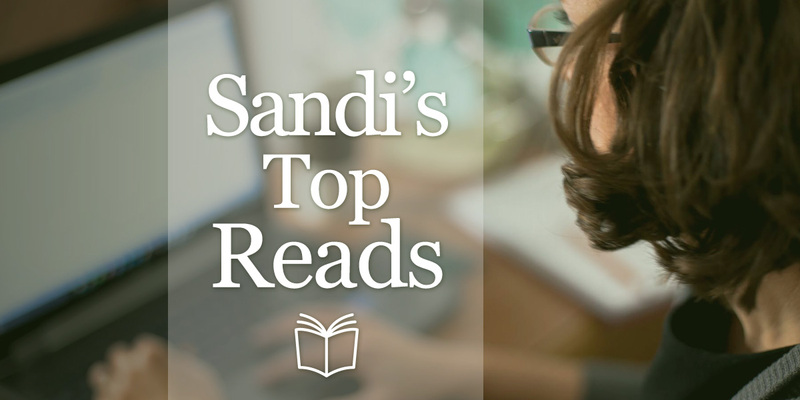 In your world, September might still be summer, the school calendar might be a distant memory, and there might still be plenty of time to fit a few good reads into your schedule. Fear not, I’ve got you covered. The list is shorter this month (see above), but still has fiery little gems like this one from my friend Chris about fighting even though it might be too late to win, this one from Kate asking when “being good at money” started to mean “not spending it,” and the first GIF in this reading list’s three year history. “As technology improves and the ability of someone like the NYT, say, to show the same story to 100 different people using 100 different ways, the filter bubble becomes deeper. We lose track of what’s filtered and what’s not as the news becomes tailored to cement our existing opinions. After all, everyone wants to read a newspaper that agrees with them. “Systems — be they people, cultures, or web browsing, to name a few examples — naturally have to filter information and thus they reduce options. Sometimes people make decisions, sometimes cultures make them, and increasingly algorithms make them. As the speed of information flowing through these systems increases, filters will play an even more important role. This is that webinar I was tweeting about so much in the middle of August. It’s worth watching for anyone who wants a more compassionate understanding of what it’s like to have volatile income and ways that individuals, institutions, government, and industry can collaborate to mitigate its adverse effects. Built on broad American research and budding research in Canada, it’s well-developed and smoothly presented – a must watch. It sounds smarter to be pessimistic and brace yourself and everyone around you for the next crash, but is it?